1 OWNER USED 2018 SPORTSMAN 312 OPEN CC WITH TWIN YAMAHA 300HP OB, ONLY 27 HR!! The Open 312, is the ultimate family-friendly center console. The elegant swooping hull design is sure to turn heads anywhere you go. Peeking inside, the spacious cockpit layout suits itself well to entertainment and offshore fishing alike. It has a perfect harmony of luxury, function and comfort. A lifetime of family memories await. Here we have a 2018 Sportsman 312 center console boat. This boat is powered by twin 300hp Yamaha outboard with only 27 hours on engines since new and warranty until 05/09/2021. It is in like new shape overall and loaded with options. It comes with a Autopilot, Radar, Flir Night Vision Camera, Fresh Bottom Paint, (2) NSS16 EVO3 Simrad GPS Combo, Taco Outriggers GS380. The bow has a Sundeck/Table for enjoying your lunch at the sandbar. You also have a side entry door so If you are looking for a boat to do some fishing with and some hanging out at the sandbar this Sportsman would be perfect. Feel free to contact us with any questions. 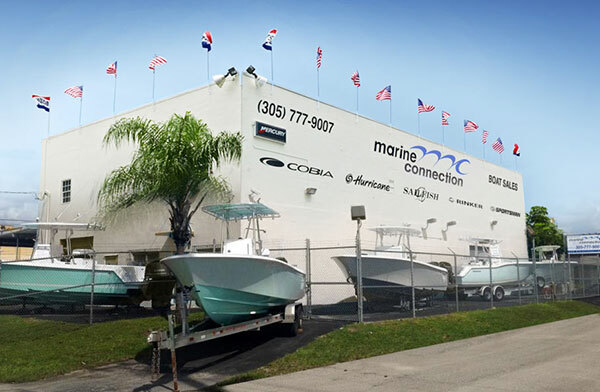 Feel free to visit us at our Miami, FL location and see this boat in person! A New Continental Triple Axle Aluminum trailer is available for purchase for $8,990.00. A trailer is not included in the price of the boat.